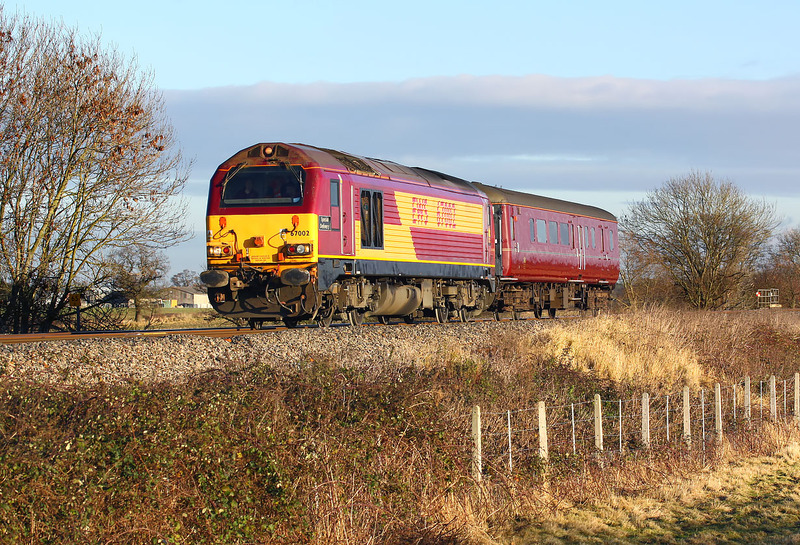 67002 Special Delivery heads west at Baulking on 10 December 2008 hauling a single EWS Mk2 coach. 3200 hp is a little excessive to move one coach, but as the class is underemployed and EWS no longer has any more suitable locomotives, I suppose it serves its purpose. 67002 was named Special Delivery at the Old Oak Common Open Day in 2000, but the name soon became slightly inappropriate when EWS lost the Royal Mail contract!